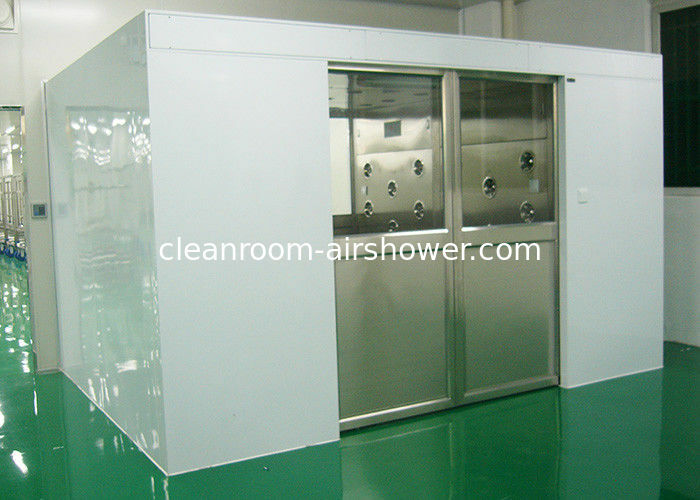 Cargo Cleanroom Air Shower Tunnel for clean room is a kind of partial clean equipment with rather strong universality and is installed at the partition between the clean and non-clean rooms. Its used for the personnel or matters to shower before entering the clean area. After using it, the dust could effectively be reduced to enter the clean area and maintain the normal working status. 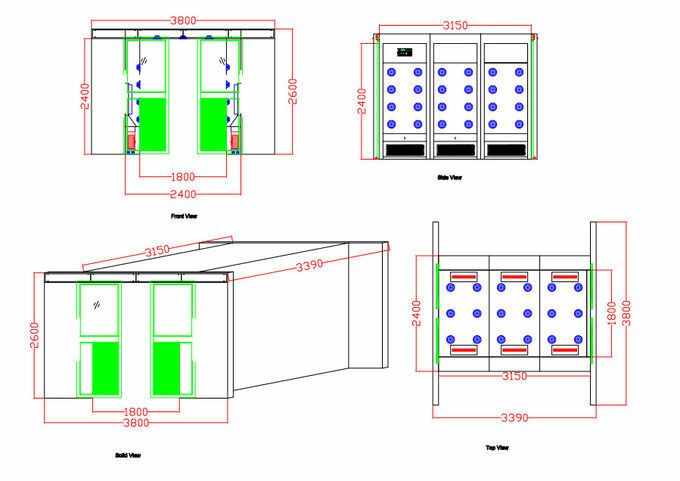 Air Showers offer an effective, cost-conscious solution for reducing contaminants carried by individuals entering or leaving a controlled area. A customized Air Shower can easily solve many ongoing contamination problems in your production facility or plant. “Air Shower Tunnels” are protected passageways that allow large numbers of personnel to pass quickly intocontrolled areas. at a velocity ranging from 6,000 to 10,000 feet per minute, effectively reducing contamination from one workstation to another. Particles as small as 0.3 microns are removed with 99.99% efficiency. Contaminated air is then directed downward through grilles and hollow walls imbedded in the Air Shower to a specialized filter. 1. The control system run automatically by photoelectric sensor, the two door are electric interlocked. 4. 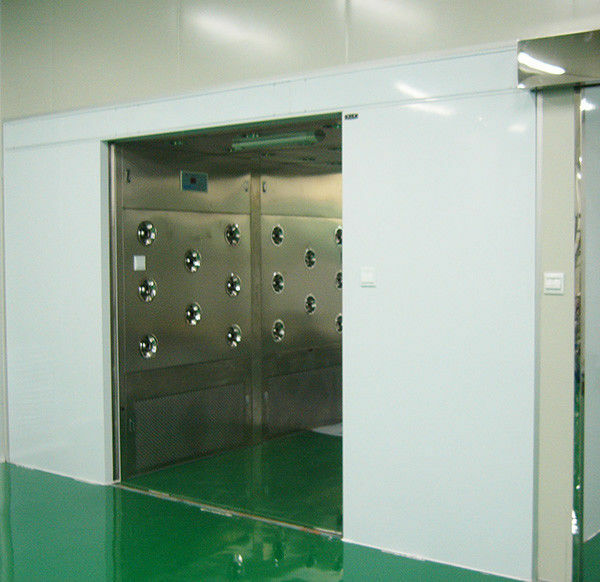 The door, bottom-board, nozzles are used of stainless steel, good appearance. 5. 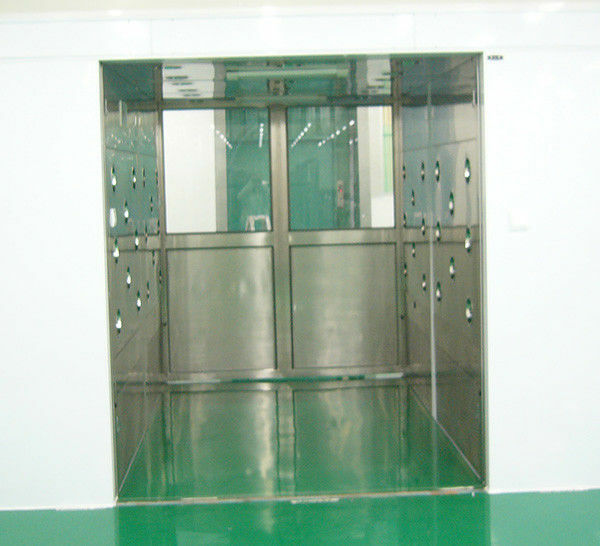 When air shower is used to pass cargo, it is without bottom-board. All of equipment will be individually tested for safety and performance in accordance with international Standards before shipment. Each unit is shipped with a documentation outlining the tests undertaken and the units individual results for each unit.